At Proliance, we strongly believe in the strength of marriage. We feel that everyone deserves to find a partner to share their life with so that together, you can create a mutually loving and respectful relationship that will sustain stress and strife. We also recognize that no relationship is perfect and every couple can benefit from working on their relationship to reduce conflict and increase love. In many cases, there is an opportunity to work through many of the issues couples face prior to marriage in order to enter into this union in the most prepared manner. The clinicians at Proliance Center offer pre-marital programs for couples of all types to help them better prepare for the step of marriage. We work with couples to help them work through existing conflicts and equip them with effective coping skills to face future difficulties in the most effective ways. We also help them to identify their individual goals and expectations for marriage to help individual partners find common ground as a couple. Our goal is always to help our couples have a strong, healthy relationship, giving them a better chance at a stable and satisfying marriage. What does Premarital Counseling at Proliance Center Entail? Proliance Center clinicians feel it is important to evaluate relationships in the most effective and comprehensive way in order to best develop an appropriate course of action in counseling. We feel it is important to use the best tools available to assess your needs. Therefore, we ask couples to complete a well-tested and highly respected relationship inventory to help them identify their strengths as well as areas of growth. Premarital counseling at Proliance center helps partners improve their ability to communicate, set realistic expectations for their marriage and develop healthy and effective conflict resolution skills. We feel it is equally important to help couples establish a positive attitude about seeking help with their marriages as they evolve, since it is common for new circumstances or conflicts to arise throughout the course of marriage that may be difficult for couples to face on their own. 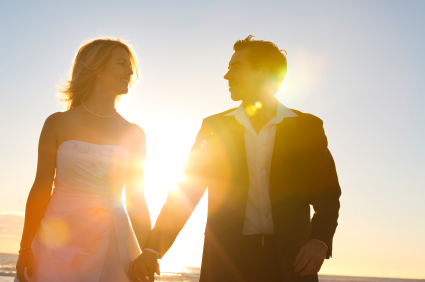 At Proliance, we understand that every couple is different, as is every partner. We are here to guide you while respecting your values, options and personal history that you bring to your relationship. We also know that these characteristics don’t always match those of your partner’s. Our clinicians treat each partner equally, allowing them to express their views and needs within sessions to help you and your partner better understand and support one another. Why Should We Seek Pre-Marital Counseling? The decision to seek premarital counseling is yours and yours alone. What we do know, however, is that couples who participate in marital programs often report up to a 30% stronger marriage than couples who do not seek premarital counseling. Studies also show that approximately 93% of Americans name “having a happy marriage” as one of their most important life objectives. Unfortunately, we must compare that goal with the 43% divorce rate in the United States today. So often, we know what we want in life, but we’re not equipped with the right tools or skills to make it happen. Couples that enter into marriage after participating in premarital counseling are generally better at resolving problems and using effective communication styles. They also tend to report higher levels in the quality of their relationship. At Proliance, our aim is to work with couples to help them achieve a higher sense of partnership and a more positive adjustment to married life.